MOSCOW, September 22. /TASS/. 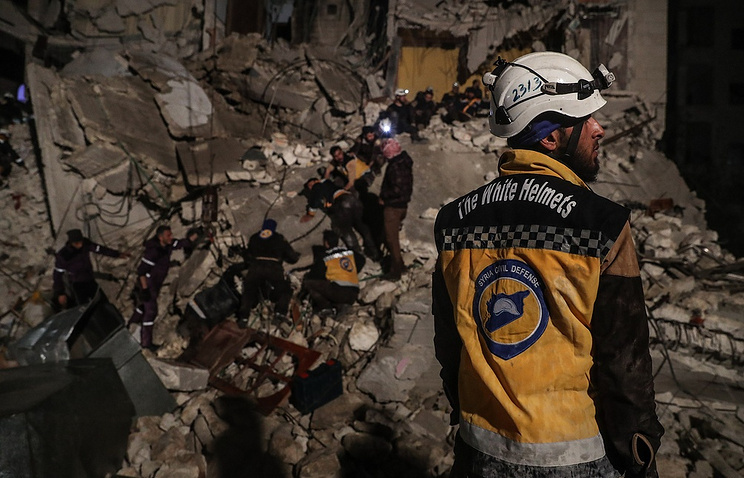 The notorious White Helmets group, related to the Syrian opposition, is now working on a fake video footage of a staged chemical attack in the Idlib province, according to a leaked video obtained by the SANA news agency. The video was initially posted on YouTube, but was quickly deleted, and the link to it is now invalid. According to the agency, the footage shows a number of people being hosed with water by White Helmets activists, in a bid to create the impression that they are trying to help them after an attack with chemical weapons. However, some of the people who are being sprayed with water are in later shots playing the role of paramedics themselves. Besides, two sequences show a man being taken into an ambulance in the exact same way, but once with his shirt buttoned and once with it unbuttoned. According to the agency, the video demonstrates that several "takes" were made of the same scene, apparently in a bid to create a fake video of the attack and thus provoke strikes on the government forces by the US-led coalition. Russian Foreign Ministry Spokeswoman Maria Zakharova said on Thursday that members of the Jabhat al-Nusra terror group (outlawed in Russia) are providing chemical weapons to their affiliated terrorists active in the Syrian province of Idlib in order to arrange a chemical weapons provocation that would give the US-led coalition an excuse to conduct a missile attack. According to her, the White Helmets may play a key role in the staged incident. 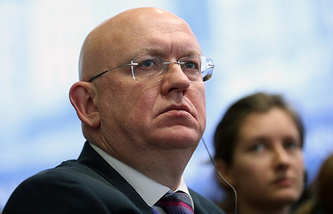 The Russian Defense Ministry said on August 25 that militants were making preparations together with British intelligence services to stage a chemical weapons attack in the Idlib province and blame it on the Syrian government.